Now on to some of Grandfather Nurgles finest! 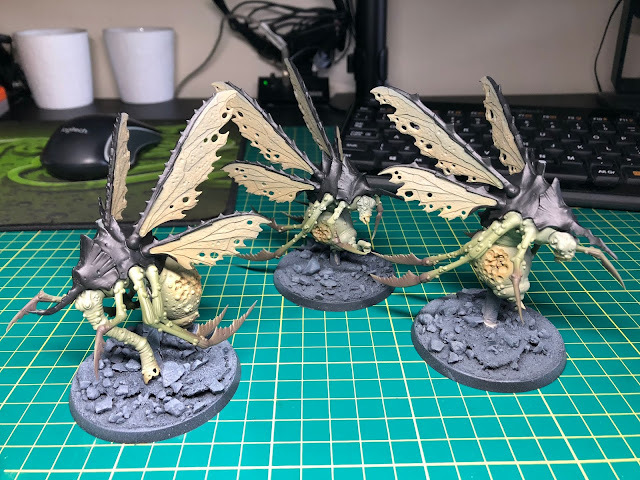 Plague Drones. These were a pain to pain! Aside from the PlagueBearers I fully assembled the modes so found the wings harder to airbrush than if I'd have kept them separate. I painted the PlagueBearers using the same colour scheme covered here.